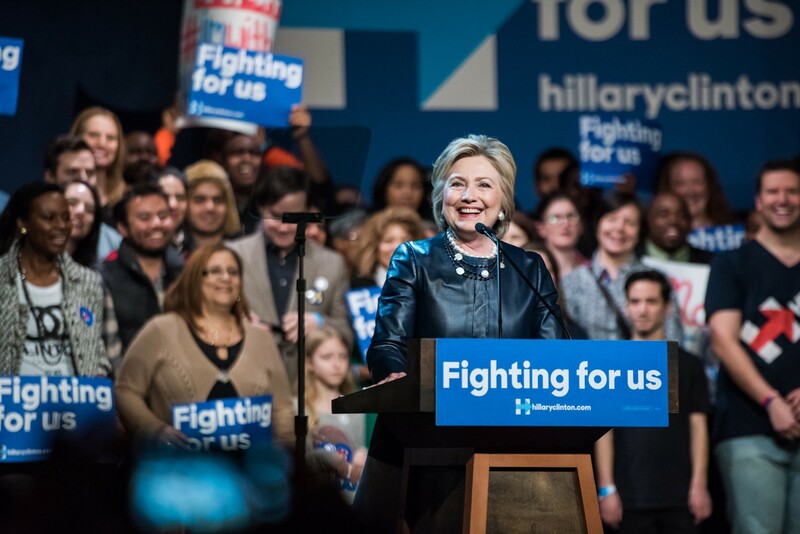 Thanks to nearly 9 million voters across the country and the support of people like you, Hillary Clinton has built a nearly insurmountable lead among both delegates and actual voters. Contrary to the claims of the Sanders campaign, in measure after measure, Clinton has shown the broadest support of any candidate currently running for president. We know that the misleading spin will continue, but we wanted you to know the facts about the real state of the Democratic primary. Plain and simple — Hillary Clinton is winning with voters: With more than half of the primary votes already cast, Hillary Clinton has earned nearly 9 million votes — including 2.5 million more than Bernie Sanders. She has received 58 percent of the popular vote. That support includes key parts of the Democratic and the Obama coalition, including African American voters, Latino voters, union households, women, and seniors. In addition, a recent survey by Gallup showed that her supporters are more enthusiastic about her than Sanders’ supporters are about him. When more people vote, Hillary Clinton wins: Contrary to some of the spin you may have heard, when turnout is high, Hillary Clinton wins. In fact, Clinton has won 17 of the 21 states where more than 7 percent of eligible voters turned out. On the other hand, most of Senator Sanders’ wins come in states that hold caucuses, where overall voter turnout is typically much smaller. On average, turnout in primaries or caucuses that Clinton won was four percentage points higher than in primaries or caucuses that Sanders won. Nearly four times more people participated in the primaries and caucuses that Clinton won than participated in the primaries and caucuses Sanders won. In states Clinton won, an average of 742k turned out compared to fewer than 200k where Sanders won. The delegate math is on our side: Hillary Clinton has a lead of nearly 230 pledged delegates — and with each passing week, it’s becoming increasingly unlikely that Senator Sanders will be able to catch up. In order to do so, Sanders has to win the four remaining delegate-rich primaries — New York, Pennsylvania, California, and New Jersey — with roughly 60 percent of the vote. To put that in perspective: Sanders has thus far won only two primaries with that margin: Vermont and New Hampshire. Needless to say, the size and demographic makeups of New York, Pennsylvania, California, and New Jersey are decidedly different than Vermont and New Hampshire. And these figures don’t even include superdelegates, where Clinton has an overwhelming lead. 3. While many political experts question the validity of general election polls this early in the race, only one candidate actually has earned more votes than Donald Trump. While Clinton has 1 million more votes than Trump, Trump has received roughly 1.5 million more votes than Sanders thus far. The Sanders campaign’s path forward relies on overturning the will of the voters: The math being what it is, the Sanders campaign has struggled to explain their path to the nomination. Their latest strategy involves a combination of trying to flip pledged delegates at state and county conventions, while also convincing superdelegates that he deserves their support — despite the fact that Hillary Clinton has won 58 percent of the popular vote and a majority of pledged delegates thus far. For most of the campaign, Senator Sanders has criticized the role that superdelegates play in the nominating process, but as he now campaigns without a clear path the nomination that relies on the voters, he’s aggressively courting their support. We could not be prouder of the support Hillary and this campaign have earned across the country — from a wide range of voters in states across the country to elected leaders to party and union activists, and groups fighting for issues ranging from reproductive freedom to workers’ rights to climate change to gun violence prevention. Thank you for your support, and we look forward to continuing to build a campaign that will ensure we win the White House in November.